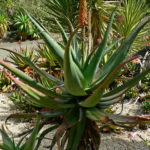 Aloe africana is a solitary, often unbranched, small, tree-like Aloe, usually up to 6 feet (1.8 m) but sometimes taller, with rosettes densely crowded with gracefully arching 2 foot (60 cm) long, lance-shaped, thick, grayish blue-green leaves that have prominent, sharp, red teeth along the margins and in a row running along the middle of the lower surface with older leaves skirting the trunk. 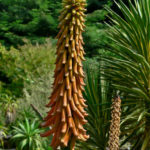 Flowering on this species can happen at other times but most often in mid-winter to early spring, with an unbranched to fewbranched, up to 3 foot (90 cm) tall inflorescence of erect, long-tapering, terminal spikes of flowers that are orange in bud and turn yellow just prior to opening from the bottom of the spike upwards. 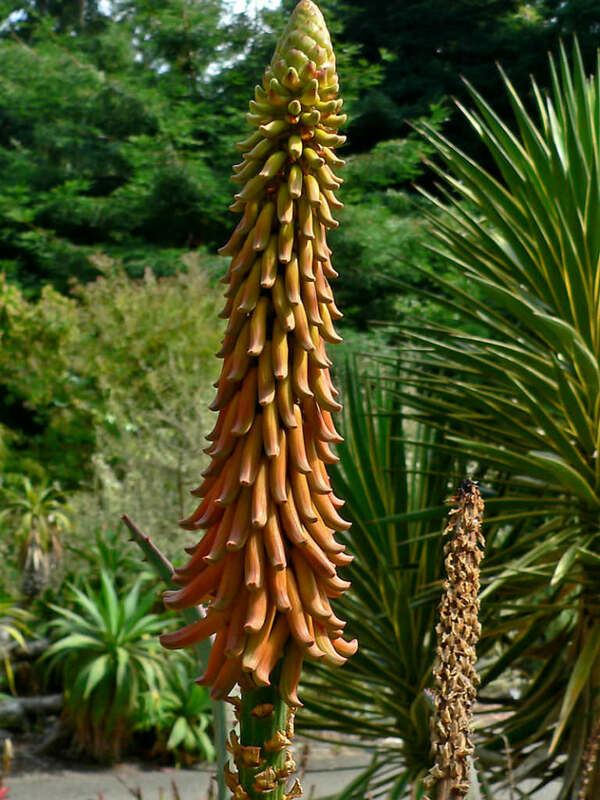 The individual flowers are held in a downward inclination but uniquely turn upwards towards the tips, making identification of this species quite easy. 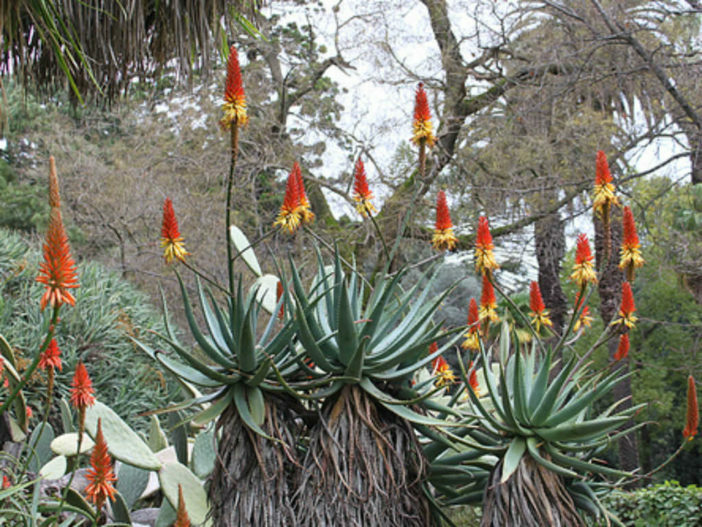 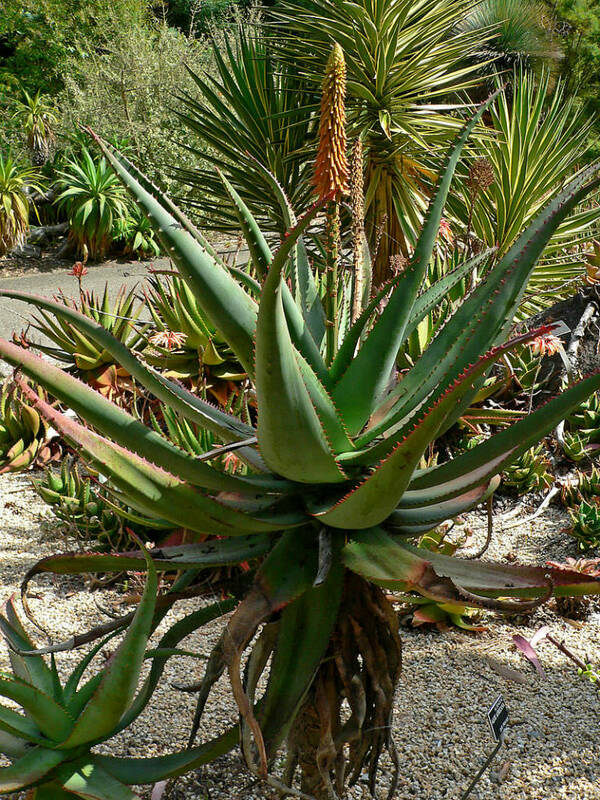 Aloe africana is native to South Africa (Eastern Cape).